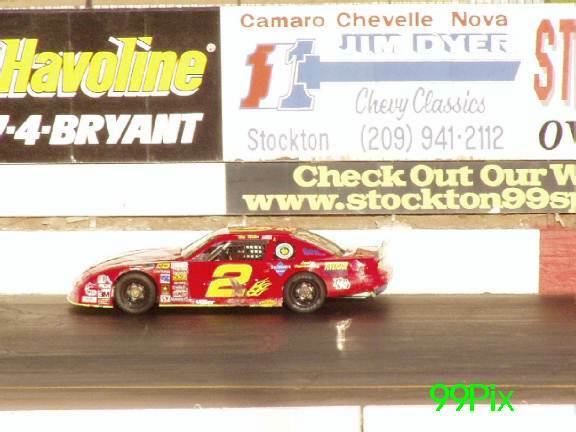 Another chapter in racing history concluded last Saturday at the Stockton 99 Speedway Wild West Shootout 100. It was a thrilling night of competitive racing as drivers went full throttle for a checkered flag victory . Nearly 2,900 fans gathered to watch the S.R.L. 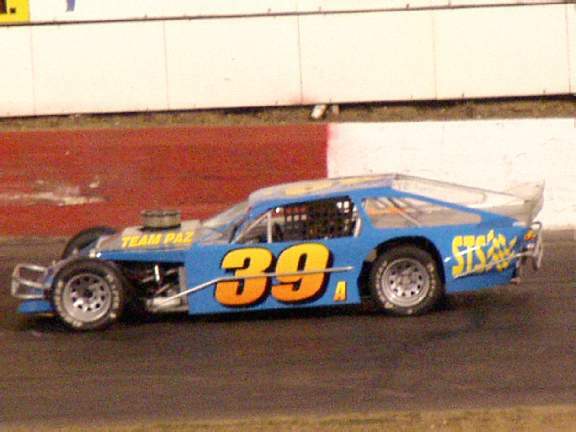 Tour Style Late Model Stock Cars for the NASCAR DODGE WEEKLY SERIES featuring Western Late Models, Grand American Modifieds, Pro 4 Trucks and Pure Stock. The S.R.L. Wild West Shootout 100-lap race was unforgettable last Saturday! Twenty cars took their position for 100 laps. 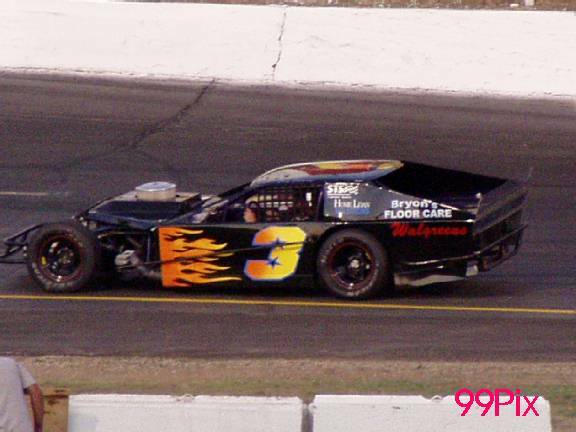 Tim Bost, #35, of Paradise dominated the main for an almost unheard of 95 laps. Bost and Tracy Bolin, #2, of Valley Springs battled it out in an attempt at the checkered flag victory. 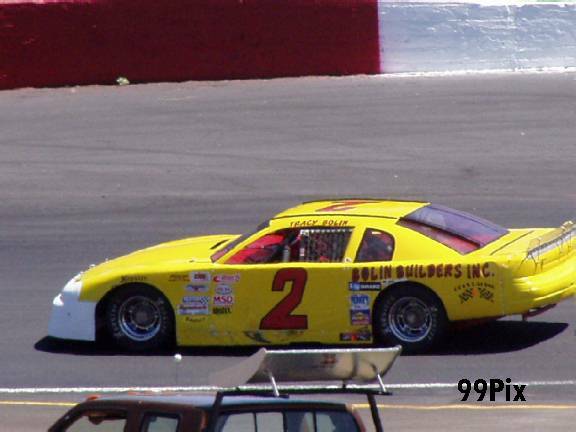 Bolin shadowed Bost for the entire 95 laps waiting for the prime opportunity to strip Bolin of his position. 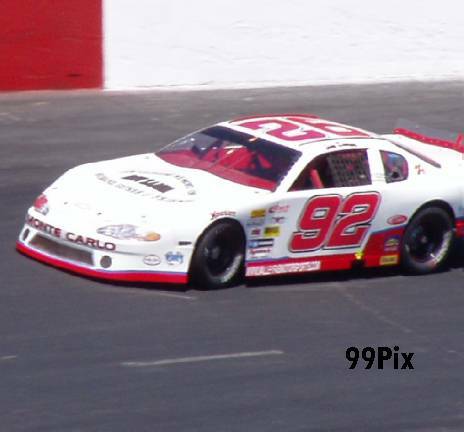 Joey Zampa, #92, of Napa retained the 3rd place position for over two-thirds of the race until #90, Ron Strmiska, Jr. shut the door on Zampa in lap 86. Zampa immediately lost the 4th place position to Ryan Foster. Foster passed Zampa on the 86th lap following a spin out by Ken Boyd. 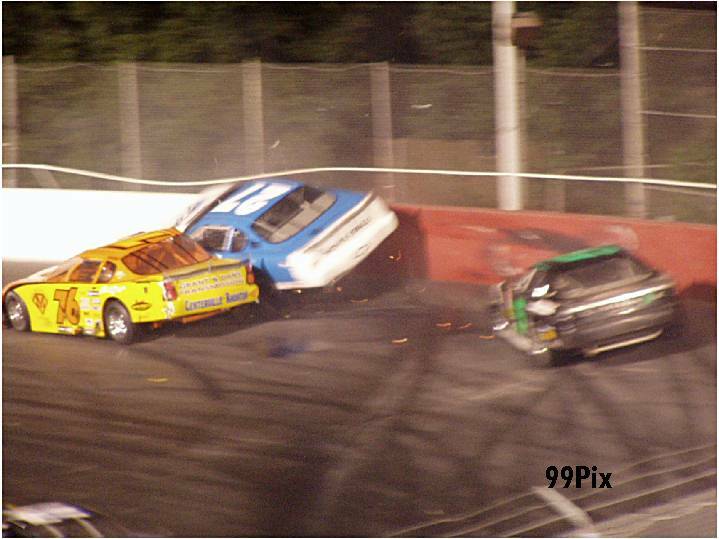 Bost and Bolin were bumper to bumper for the majority of the 95-lap race when the two suddenly crashed leaving the field wide open. 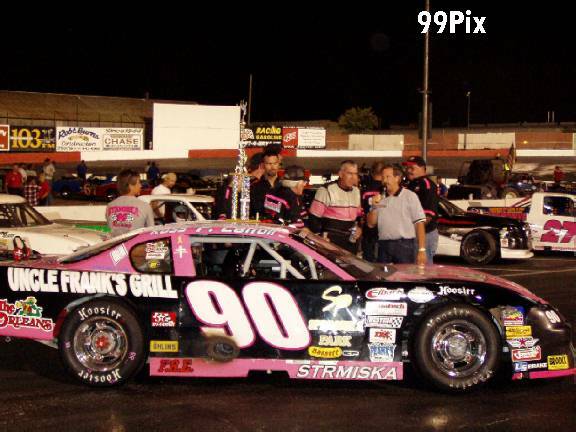 Ron Strmiska, Jr. didn’t miss the golden opportunity to take the lead and swiftly captured 1st place position leading to a victory in the S.R.L. Division followed by Foster who jumped into a 2nd place finish. Zampa quickly took 3rd, Harry Belletto trailed in 4th and Jeff Belletto rounded out the top five with a 5th place finish. Wes Miller, #2, captured his third victory of the season in the Western Late Model division at the quarter mile high-banked paved oval last Saturday. It was an accomplished line up for the HAVOLINE UNION 76, NASCAR DODGE WEEKLY SERIES. Current points leader, #05x Eric Schmidt set the pace for the 30-lap feature event, but it wasn’t long before Miller maneuvered past Schmidt for the lead. As Miller pulled away from the pack, Schmidt fought to maintain his position from the challenging third place point holder "Big" John Moore, #27, of Granite Bay. Moore, who also ran in the S.R.L. Division, shadowed Schmidt until he went full throttle two-thirds into the race and displaced Schmidt for 2nd place. Miller continued to dominate with Moore in hot pursuit of his position. 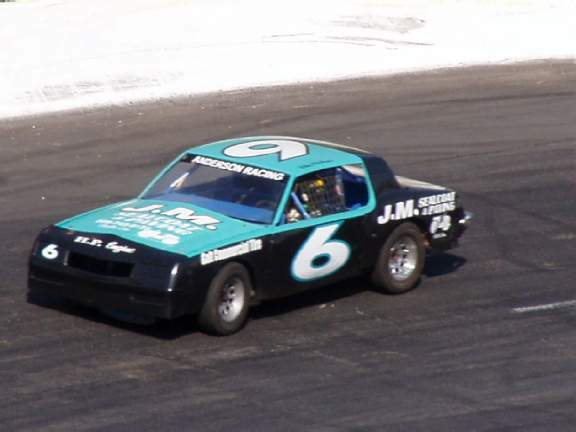 Pete Anderson, Jr., #5, consecutively chased Schmidt but was unsuccessful in every attempt to pass him and finished in 4th place. Miller dominated his position as he flew past the checkered flag for the victory. Moore finished immediately after Miller for 2nd place, Eric Schmidt trailed for 3rd, Pete Anderson, Jr. came in 4th and 5th place went to Modesto’s Harry Belletto, who competed in the S.R.L. Division also. 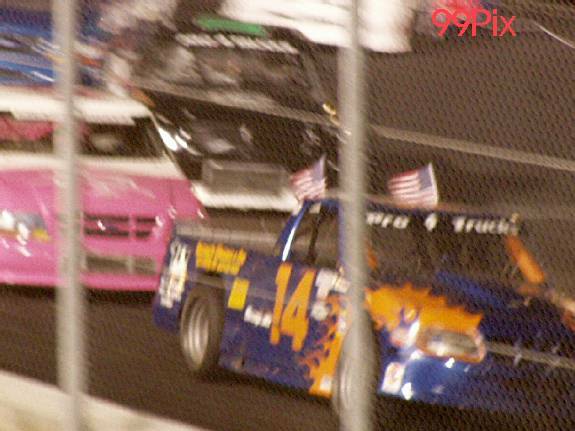 The Grand American Modified Division met last Saturday night to duel for a checkered flag. Angelo Queirolo, #44, of Ripon and owner Richard Guthmiller of Ceres celebrated Queirolo second victory of the season. Top qualifier Queirolo set the pace for heart pumping action. 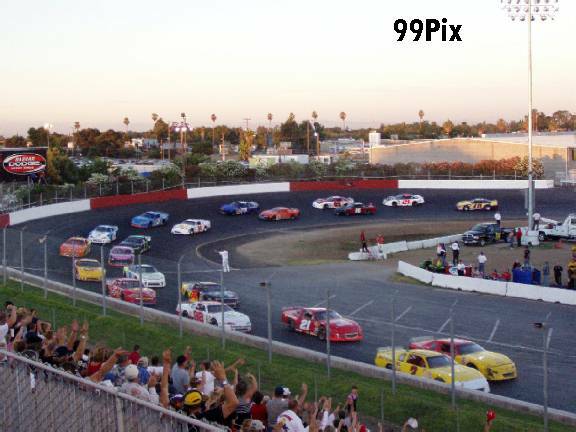 Chris Mays, #39, tailed Queirolo at the start, but second place holder Jay Linstroth of Citrus Heights passed Mays, as they went wire to wire in the eighth lap. 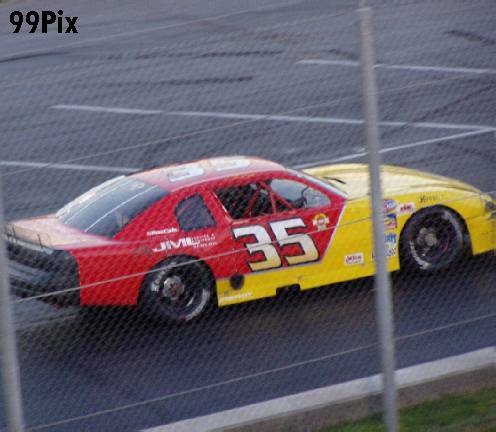 Linstroth was unfortunate after a brilliant drive, suffering from a cut tire that resulted in a 6th place finish. Queirolo held the lead, pulling away from the pack as he captured the checkered flag victory. 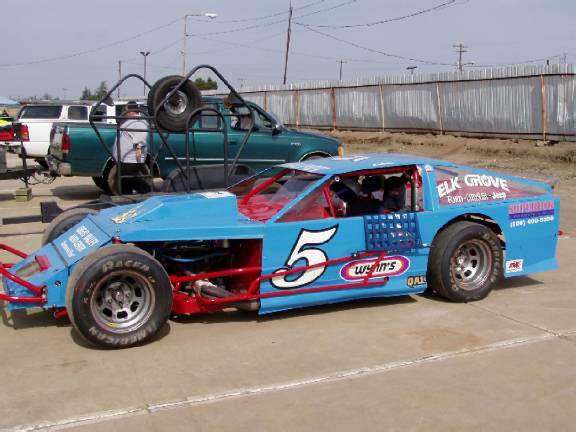 Chris Mays finished in 2nd, Joey Sterns, #3, of Stockton finished 3rd and accomplished driver and first place point holder, #5, Jason Philpot of Sacramento attempted to move inside the line and make his way through the pack, but was unsuccessful and took the 4th place finish. 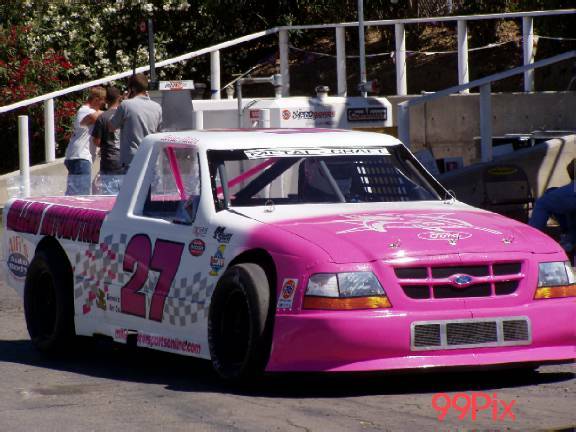 Points leader Carrie Miller, #27, of Saratoga was unstoppable as she claimed her fifth checkered flag victory of the season. 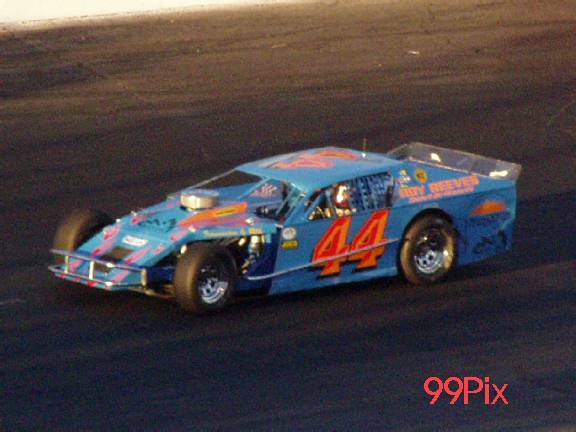 Top qualifier and dash winner Gary Franks, #14, of Manteca jetted to the lead following the start of the 25-lap race. Franks held the 1st place position until he crashed with Mike Curry of Lodi. Miller never missed her opportunity to take the lead after the caution flag and seized the position until she claimed the win. 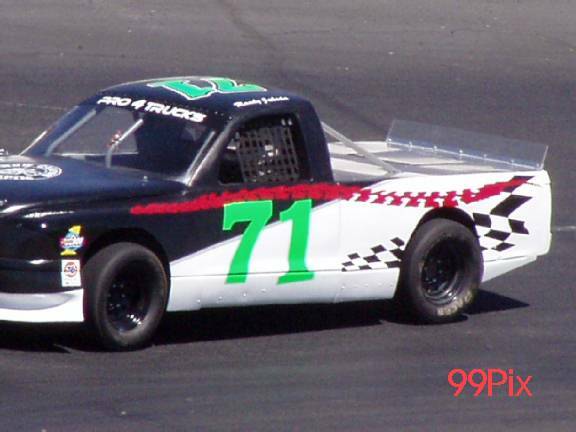 Randy Jahoda, #71 of Tracy pursued Miller for the 2nd place finish and Bret Barney of Rohnert Park finished in 3rd place. 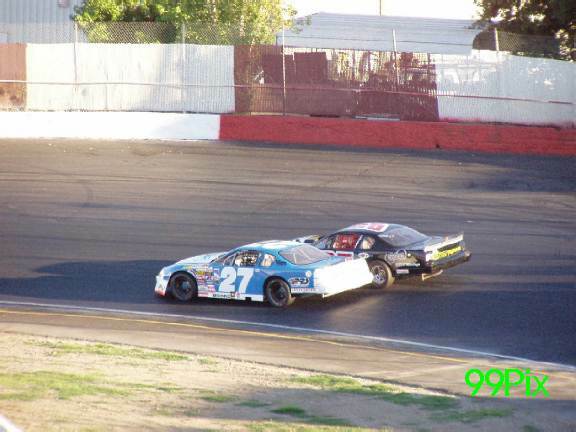 The Pure Stock Division returned to Stockton 99 Speedway last Saturday after a two-week break. Pure Stock are usually guaranteed to be a crowd pleaser, as drivers endure dents, dings, caution flags and as always lots of excitement. 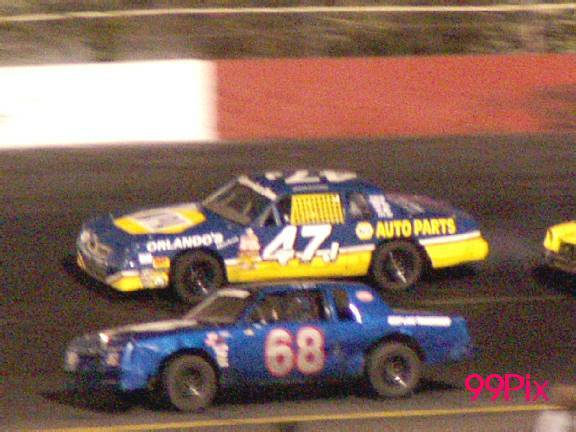 Aaron Shankel, #47, of Lodi and John Medina, #6, of Galt went head to head in lap 11 for the 1st place position. It was a fight for 1st as Medina connected with Shankel but was unsuccessful at his attempt to pass. 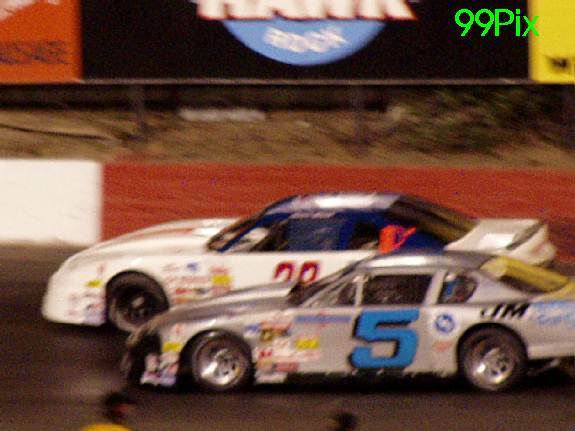 Metal was clashing throughout the 30-lap race as drivers attempted to make their way through the pack for the lead position. A caution on the 24th lap didn’t affect Shankel who held his position and finished in 1st for his first victory of the season. Medina was quick to grab the 2nd followed by Joe Allen of Stockton in 3rd, Gary Shafer in 4th place and Johnny Cordoza, #40, of Manteca snuck into the 5th place position. Saturday July 19th will feature Western Late Models, Pure Stock, Pro 4 Trucks, and Legends, with five big main events for the DOUBLE POINTS NASCAR DODGE WEEKLY SERIES.